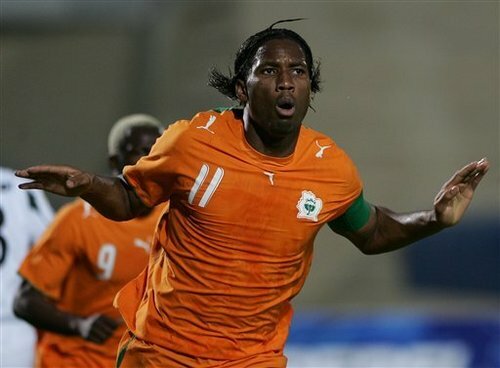 ivory coast played their last game this afternoon. they have some of the best uniforms in the cup (made by puma) and the coolest player in the world. 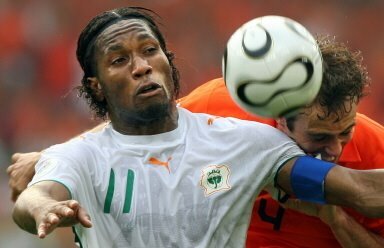 his name is didier drogba and he not only looks great but plays great. togo won’t be playing anymore games and they won’t get paid for qualifying for the world cup. i’m sad about both of those — way sadder than their coach that quit. and how about those celebrations? iran almost got excluded from the world cup and now they’re on the way out. 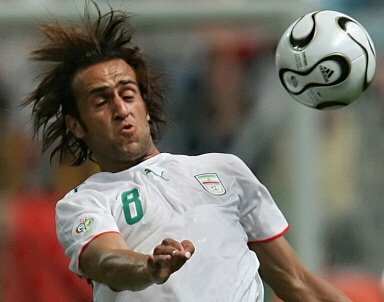 sorry iran, i was rooting for you. 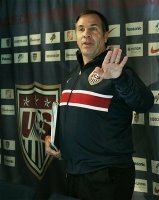 the united states coach is an (ugly?) idiot. he benched beasley at the beginning of the last game because beasley disagreed with his assessment of the team’s dedication. brian already mentioned that in the first game he should have started josh teenwolf(f) — a mistake which he repeated in the game against italy. then after the referee handed out 3 red cards in one game, making 9 players do what 11 usually do, the u.s. coach didn’t even use his last substitution. he could’ve subbed wolff or eddie johnson and they would’ve brought some energy to a tired team. why didn’t you use your last substitution coach whatever-your-name-is?!? sweden. they’re sweet: they play as a team; they hustle; they wear great uniforms; they give maternity leave to both the mother and the father without a decrease in salary; they’re advancing to the next round. i hope sweden wins the whole thing. or ghana. but don’t tell anyone that i’m secretly hoping ghana beats the u.s. tomorrow. if ghana loses, then sweden is the only team left for me to watch. well, maybe mexico, since ghana is the african version of the mexico team. 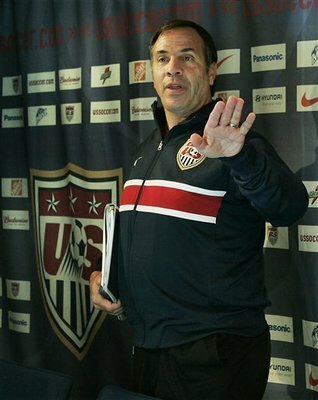 that coach for the USA looks somewhat hitler-ish.